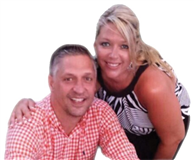 "Tonya and Jonathan Wiley are the absolute BEST Real Estate Team in the Lake Greenwood area. We have worked with The Wiley Team in every transaction we've made in the area (2 sales and 1 purchase) and we were so impressed with their knowledge and professionalism every time." More property sold on Lake Greenwood than any other agent since 2006! *Per The MLS of Greenwood for all Lake Greenwood Areas 1/1/06-1/1/18. As seen on HGTV's Lakefront Bargain Hunt, we can help you find Lake Greenwood SC Property for sale anywhere on the lake. We sell lakefront, golf front, lake view, and waterfront, homes, lots, or condos on and around Lake Greenwood.